With candlelit beach front dinners, nightly live entertainment, and beach and pool butlers, you can enjoy endless sun-filled days with your wedding guests and not have a worry in the world. 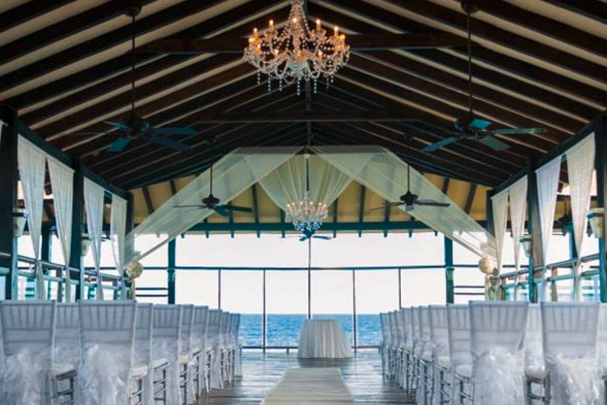 Experience the absolutely astonishing 180-degree views of the Caribbean Sea and the largest artificial coral reef in the world, to make your wedding all you could ever want! The resort is accommodating for children of all ages and offer amenities to make your stay with children stress-free. 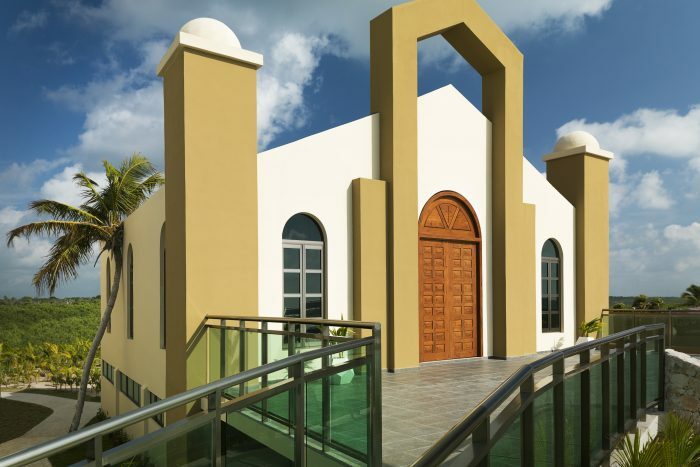 There is a beachfront chapel for those who want a traditional ceremony with breathtaking views. With private infinity pool balconies in certain rooms and butler services at the other 11 pools on the property and beaches, this resort is perfect for those who want a luxurious destination wedding! Since all of our agents are certified wedding consultants for Karisma hotels, we are able to offer our couples additional wedding amenities, including a free cocktail-reception, photo credit, or a bridal spa package! Contact us for more details. 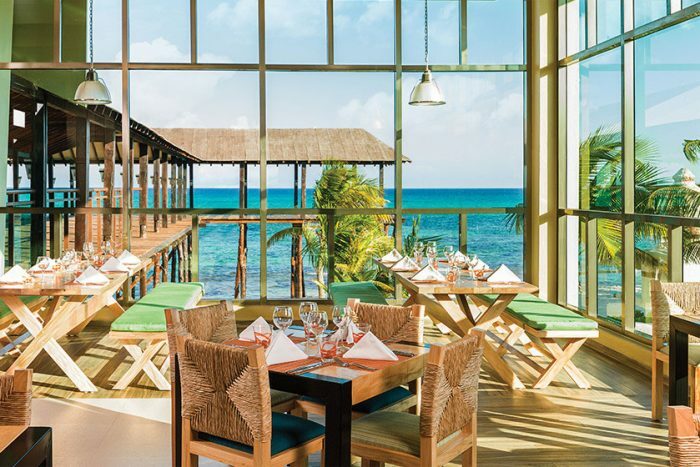 Sky Deck – 200 guests max, Beach Gazebo – 180 guests max, Poolside Deck – 180 guests max, Chapel – 150 guests max, Pier – 150 guests max, Beachfront Palapa Ganesha – 100 guests max, Buddha Lake Terrace – 100 guests max, Amistar Terrace – 50 guests max, Garden Gazebo – 40 guests max, Plaza Ganesha – 20 guests max. There will be no more than 2 weddings a day, held Monday thru Sunday. The weddings will be spread out with a 2-hour window between ceremonies, so no weddings occur at the same time. Rooms range from $225 – $285 per person per night. All rooms have an oversized terrace and include an indoor luxury jacuzzi. All swim-up suites include a private infinity pool. Single sofa beds are available upon request. Children 3 and younger stay free. There are 162 total guest rooms with ocean views. Swim-up jacuzzi suites have direct access to the main pool from a private balcony and are connected to the swim-up pool bar as well. All of the Connoisseur Three Bedroom Pool Swim Up Suites are oceanfront as well. High season months typically include April, May, June, July, October, and November. It is always encouraged to have your guests book their stay 9 – 12 months in advance. The hotel can sell out during these busy months. Rooms allow up to 2 adults and 3 children. There are two-bedroom options that allow for 4 adults and 4 children, and three-bedroom options as well that can allow up to 6 adults and 6 children max. Children are 12 and younger. This property is located about 18 miles from the CUN airport. Downtown Playa del Carmen is 10 minutes away, and downtown Cancun is about 35 minutes away. 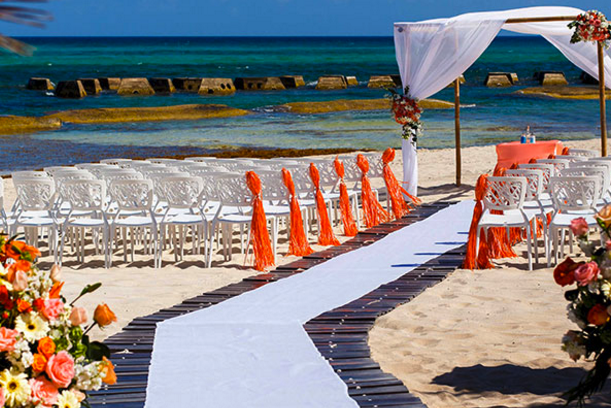 Q: What makes Generations Riviera Maya such a great place for a destination wedding? A: The stunning views of the Caribbean Sea and the beautiful locations we offer from beach to the chapel, or the pier and the sky deck. Q: What is your favorite part about weddings held at Generations Riviera? A: The first dance is my favorite! They are finally husband and wife, and are able to celebrate it with all of the people who love them and traveled to see them unite. 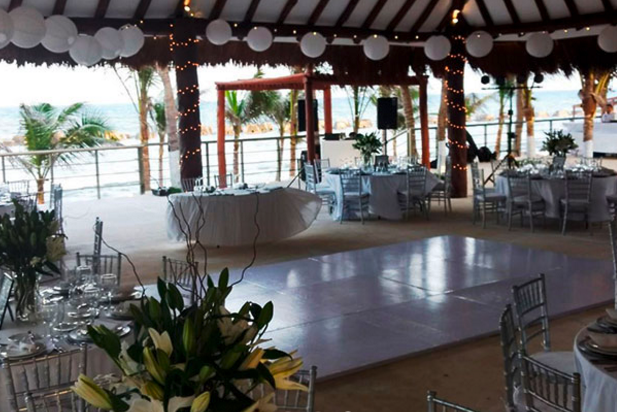 Q: What do brides typically compliment about Generations Riviera maya? A: The excellent service and the attention our wedding coordinators put in every detail to make this celebration the most memorable moment of their lives. – We are proud to say we are one of the Karisma hotels preferred partners, so we are able to offer additional amenities to our clients! 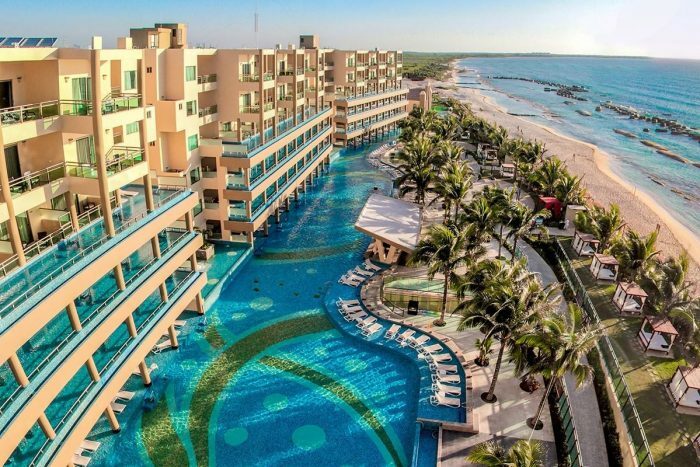 These include free room upgrades, free spa treatments, and free romantic beachfront dinners! Contact us for more details. 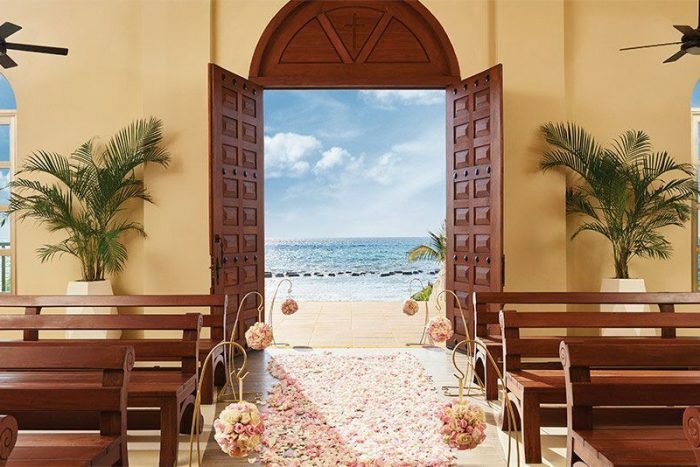 – Since all of our agents are certified wedding consultants for Karisma hotels, we are able to offer our couples additional wedding amenities, including a free cocktail-reception, photo credit, or a bridal spa package! Contact us for more details.